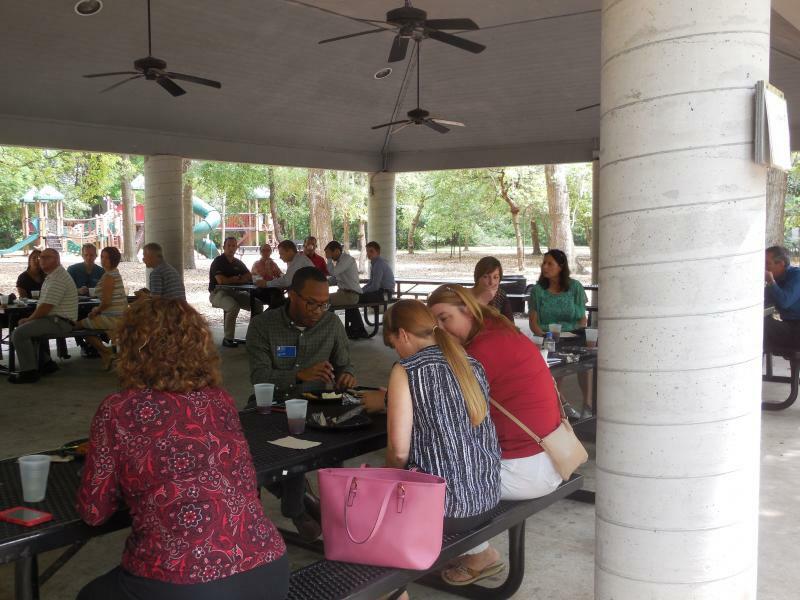 Chapter Picnic April 12, 2016 | Central Florida CPCU Society Chapter, Inc. 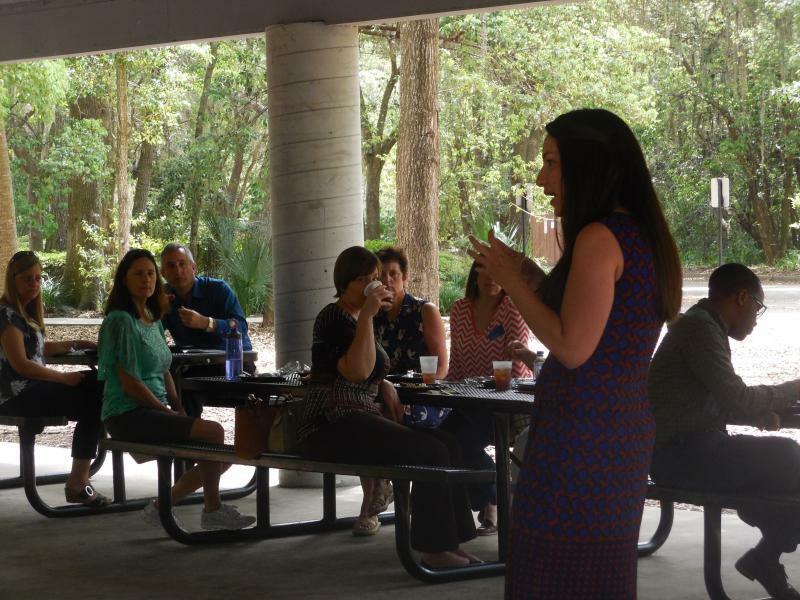 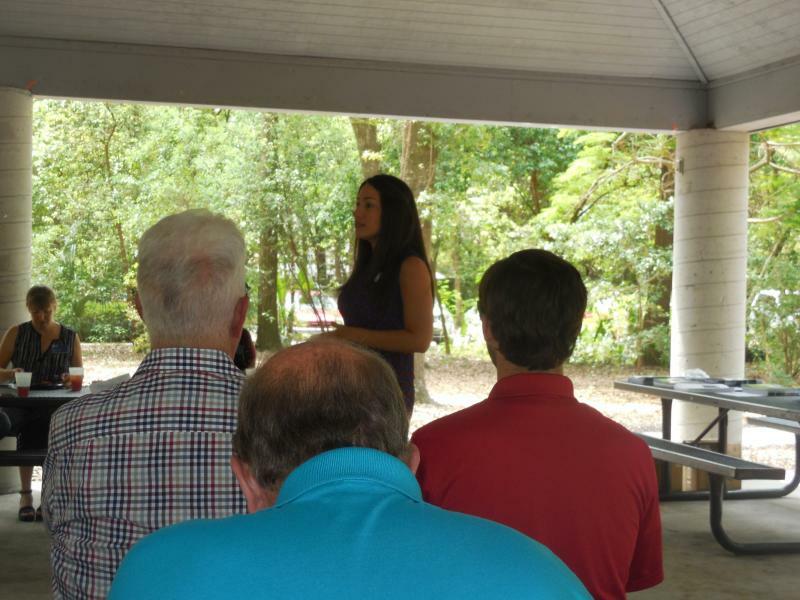 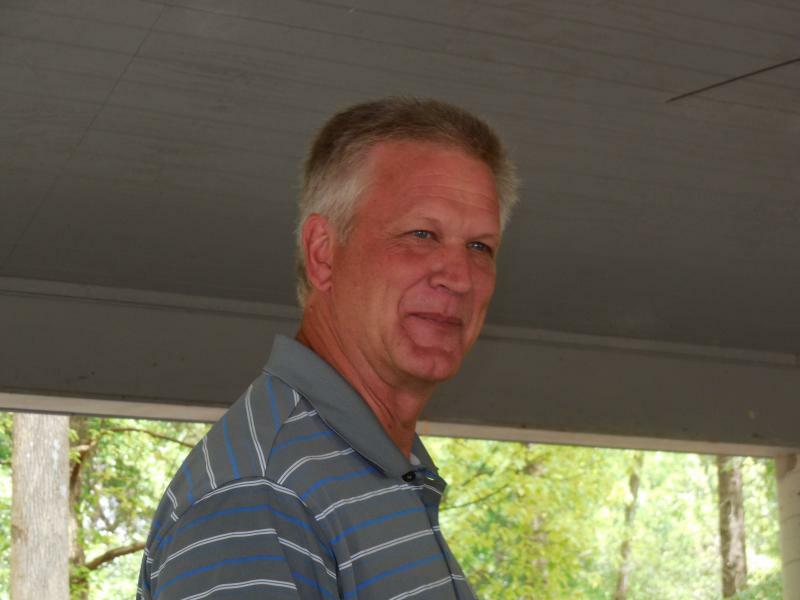 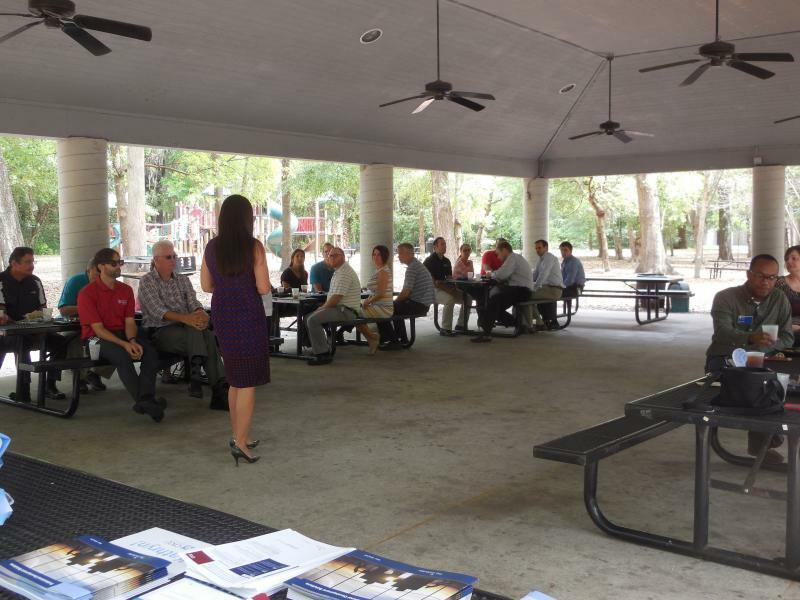 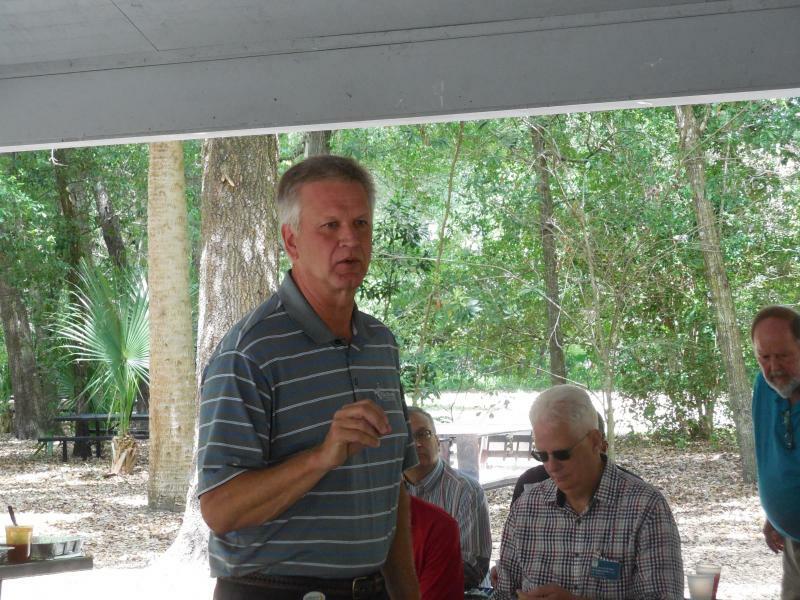 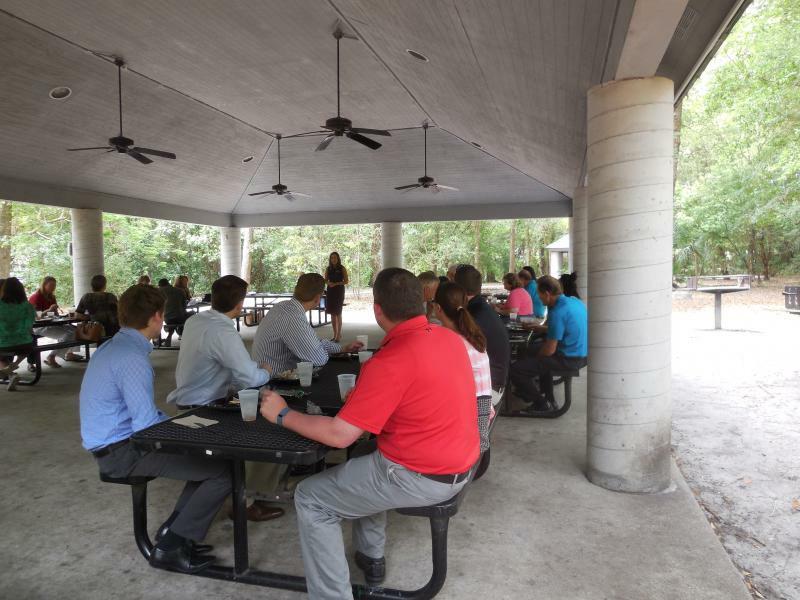 The April Central Florida CPCU Picnic was held at noon on Tuesday, April 12, 2015 at Maitland Community Park, 1400 Mayo Avenue, Maitland, Florida and was catered by 4Rivers Smokehouse. 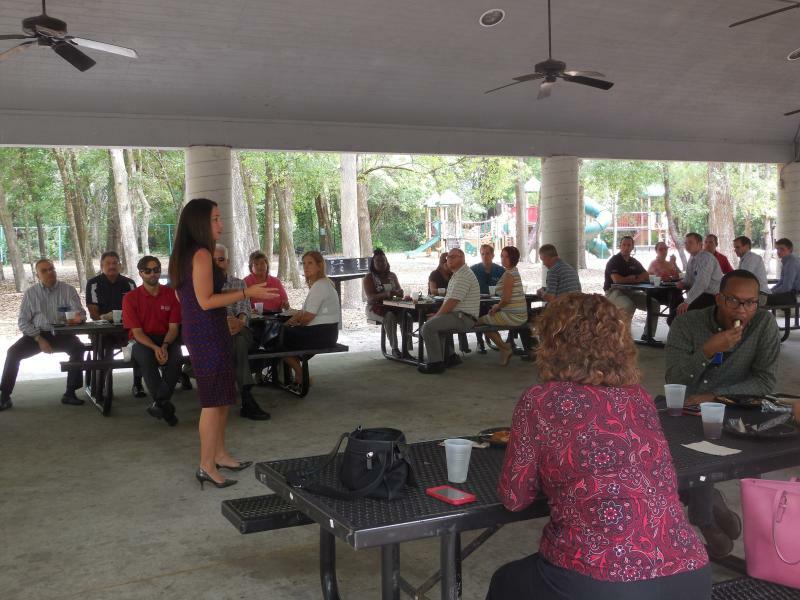 This meeting was free for all Candidate members of the Central Florida Chapter. 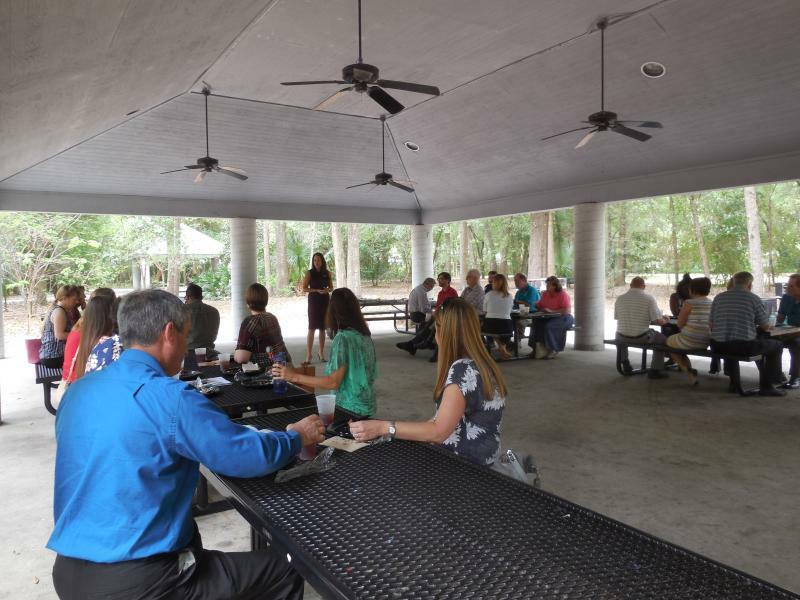 Additionally, $5 of each paid lunch was donated to Second Harvest Food Bank of Central Florida – a total of $155. 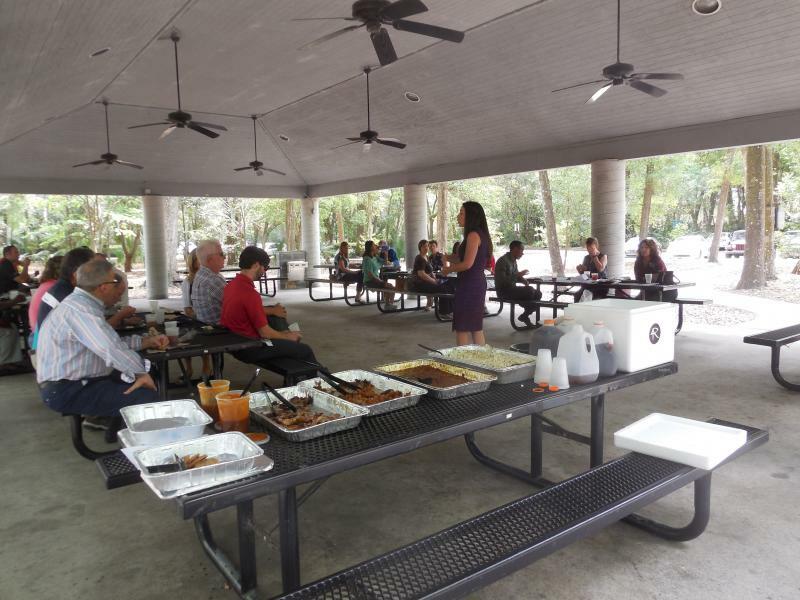 There were two featured speakers for the picnic. 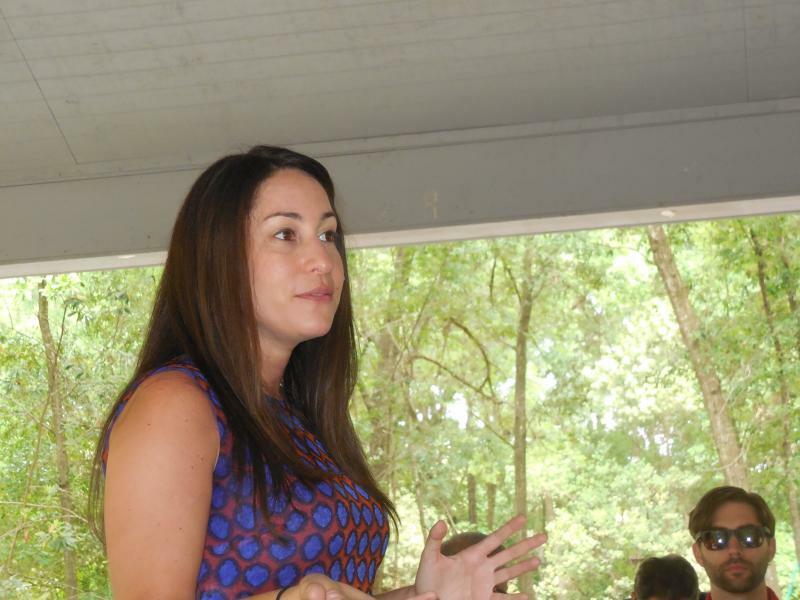 Sasha Hausman from Second Harvest provided an overview of their activity in supporting more than 550 feeding partners such as food pantries, soup kitchens, women’s shelters, senior centers, day care centers and Kids Cafes in the six county area. 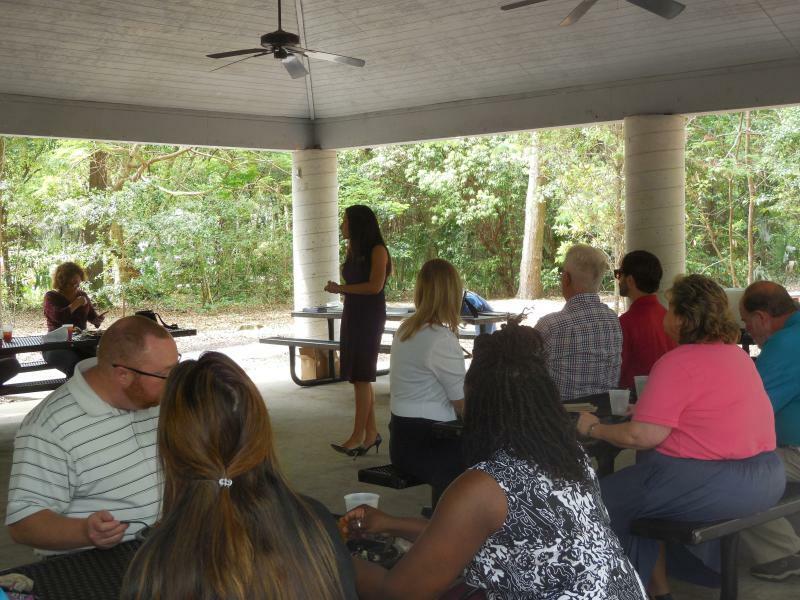 Sasha also discussed our Chapter's support for Second Harvest and our next volunteer session with them scheduled for June 25th 2016. 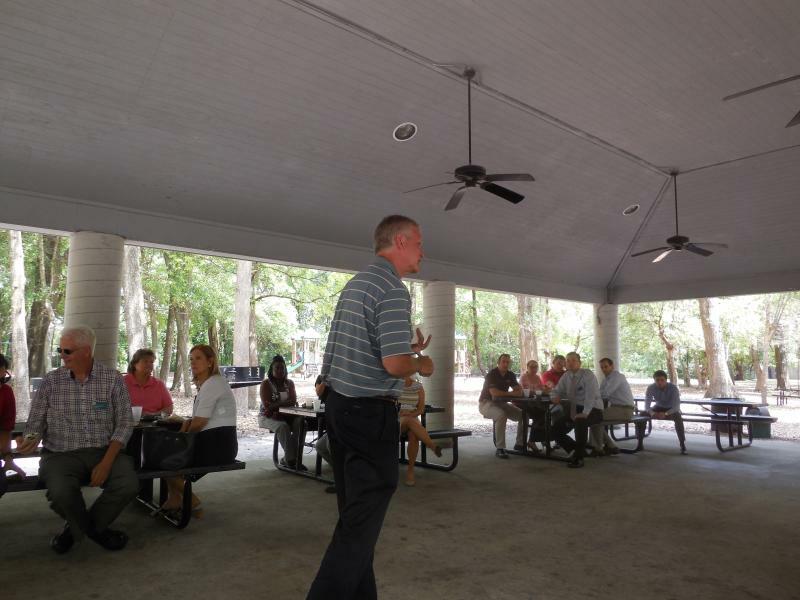 John Panko, CPCU, our second speaker, discussed the benefits of the CPCU designation and membership in the Society. 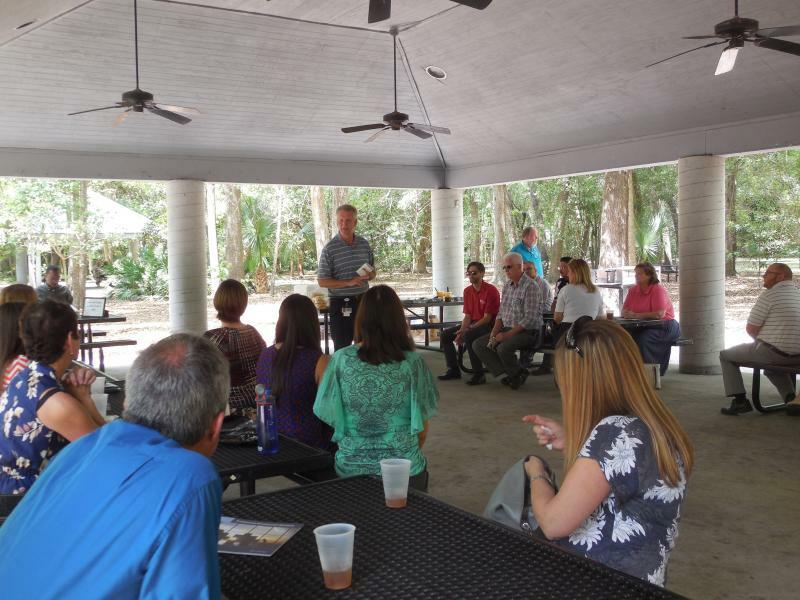 John’s comments enlightened the Candidates to several benefits they hadn’t realized were available to CPCU Society Members. 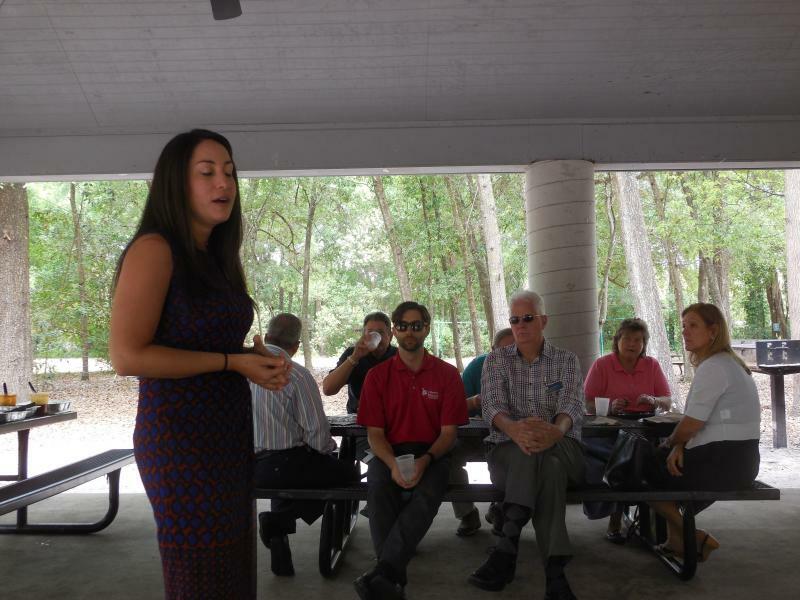 A few of the CPCUs present also gained some insight. 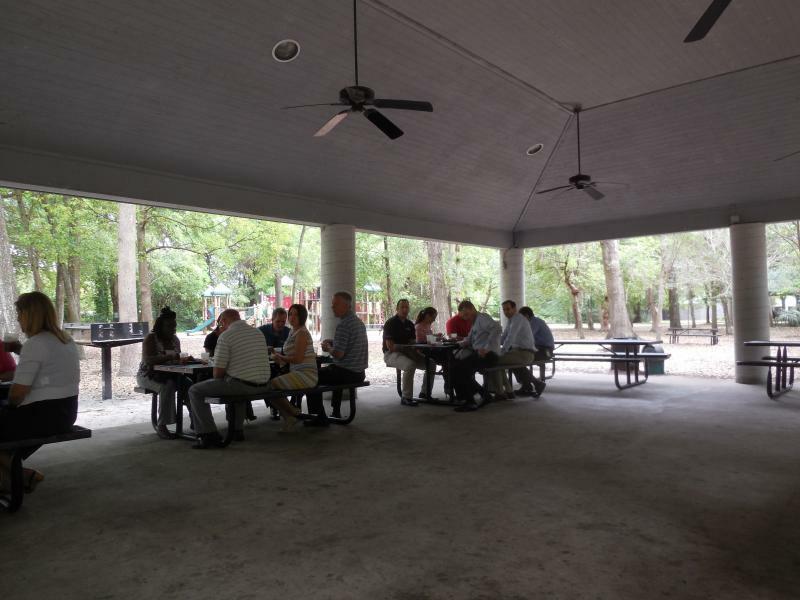 Needless to say, the weather was perfect!